WaterFilterShop.co.uk respects your privacy. 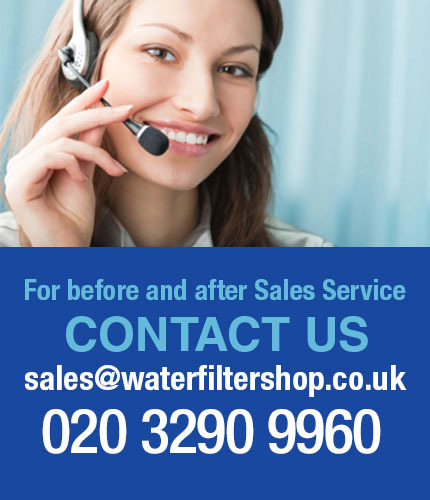 When you shop at WaterFilterShop.co.uk, we will ask for personal information such as your name, e-mail address, billing address, product selections, credit card or other payment information. We may also collect information about where you are on the Internet , your browser type, the country where your Internet service provider is located, the pages of our site that were viewed during your visit, and any search terms that you used. We will only e-mail you to process your order and afterwards if you have given your consent. We will never pass on your e-mail address or personal information to a third party. Only with your permission, we will email you to notify you of products or special offers that may be of interest to you. Your personal information will not be passed on to others. We only use your personal information to process your order and to send you the goods. We do not store credit card details nor do we share customer details with any 3rd parties! So the only companies we need to share your information with are PayPal, our bank (if you are paying by card) and the courier company in order to arrange for the delivery of your goods.